@Sloe wrote: I`m looking for a consistent finisher to drive a Ford Focus in my newly formed team N-Sport. You don`t have to be fast you just have to have fun. Any interest just let me know ! Yes John, I`d be more than happy to have SinCleaner the Greek God in the N-Sport team. you are legendary of which Ari Vatanen would be proud. You are also able to carry the speed of Hannu Mikola. Even the great El Matador bows to your talent. With the charisma of Petter Solberg you are going places . .
On a good day I can match your stage times which isn`t very often, when I beat you I know you`ve had a troubled run. This season I`ll be concentrating on finishing rather than crashing. Although I maybe said that last season too things didn`t go to plan! It`s good to see some new drivers entering, it`s shaping up to be a great season - I`m already excited ! Team DRT1 would like to file a case with the FIA regarding collusion in forming team N-Sport. We believe Oreo cookies were offered as incentive to join said team. Crumbs were found in and on driver/owner SloeNeo's racing gloves. @TopherNote wrote: Team DRT1 would like to file a case with the FIA regarding collusion in forming team N-Sport. We believe Oreo cookies were offered as incentive to join said team. Crumbs were found in and on driver/owner SloeNeo's racing gloves. The FIA has since been in touch with Sloe Neo, team principal at N-Sport regarding the unfounded outburst directed at them from Team DRTI. enhancing and therefore the offerings as incentive are perfectly legal. That said, the Jaffa Cakes which followed were deemed unsuitable due to vitamin C content but will undergo further tests. In which case McVities Jaffa Cakes sponsorship has been removed from the vehicles livery for the time being. Oreo Cookies will continue to be proud sponsors at team N-Sport. Principal and driver of the Northern based team Neo said . .
" I`m shocked and stunned for such underhand tactics have taken place even before the season has started. Now I`m off for a cuppa tea"
Welcome to the DSRL, CAbbottTank! Welcome to the DSRL, THR PORKIEPIE! 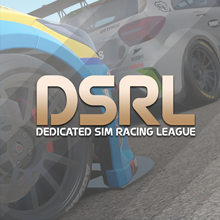 There's currently one request to join the DSRL RC (https://www.dirtgame.com/us/leagues/league/66869/the-dsrl-rc) on racenet from a "THR cptgreen12"... is that you?